One of the most common uses of Scopus data outside of the Scopus user interface (www.scopus.com) is that of institutional repositories and current research information systems. An Institutional Repository (IR) is a system for collecting, preserving, disseminating and promoting the intellectual output of an institution electronically. Roughly 80% of all universities worldwide have some sort of IR. The size and complexity of an IR can vary and is typically dependent on the institution's level of investment. A Current Research Information System (CRIS) is a database or other information system for storing data on current research by organizations and people, usually through some kind of project activity, financed by a funding program. CRIS databases are often connected to Institutional Repositories, whereby the CRIS system handles internal data aggregation and analysis, and the IR promotes externally what the organization is doing in terms of research and teaching. Also part of this landscape is VIVO (http://vivoweb.org/), an open-source tool for the discovery of researchers across institutions that has similar capabilities for showcasing universities, researchers and their output. A major challenge for the managers of systems like this is making sure that all of the institute's research output is, indeed, captured. Universities are large, relatively loosely organized organizations, and researchers and research groups often work rather independently. This makes it hard for an IR/CRIS/VIVO manager to keep track of all the material that is written and published by an institution's collective staff and faculty. Scopus can help meet that challenge. As an abstracting and indexing database, it captures articles being published in virtually all scholarly journals of any significance in the world; and its profiling of authors and institutions makes it easy to find new articles by those authors at those institutions. The Scopus user interface offers many features to that end, allowing administrators to manually find publications originating from their institution that they can then add to their system. Similarly, the Elsevier RESTful APIs allow access to Scopus data to allow developers working on IRs/CRISs/VIVO installations to write programs that automatically extract data from Scopus periodically, and add that data to their systems. The Scopus data that is available for use in IRs, CRISes and VIVO is primarily publication metadata, and their use is subject to the content use policies outlined [[here]]. In addition, working with the APIs requires some insight into our data model to better understand how to extract the information you require. Each of those record types has a lot of metadata associated with it (e.g. 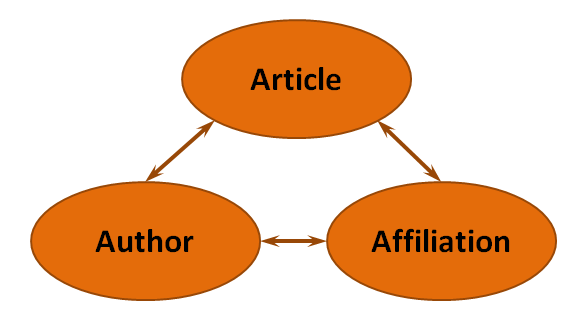 the keywords of an article, the publication range of an author, the address of an institution), and some calculated metrics (such as h-index, citation count, publication count, etc.). The URLs for these Scopus pages are returned by our APIs. The pages they lead to are fully functional Scopus pages with all bells and whistles if Scopus recognizes the incoming user as a licensed Scopus user. If Scopus does not recognize the user as being licensed, it will show a free preview page with data, but without any broader Scopus functionality. This section describes how the content APIs can be used specifically for populating an IR and keeping it up-to-date. -	First, review the section on Authentication to get a better understanding of the authentication process. -	Second, review the IR/CRIS policy. -	Third, self-register for an API-Key here. This section provides a good strategy that can be used to discover all documents written by authors at your institution to-date, and how your system can stay up-to-date with new publications. We get around this limit using our retrieval APIs for author or affiliation, and the 'DOCUMENTS' for author view and affiliation view. This query returns the documents for affiliation ID '60019702' that were added to Scopus after 30st of May, 2016. This is ideal for regular updates to your IR/CRIS. The ORIG-LOAD-DATE value represents the timestamp of when a record has been loaded to Scopus for the first time. Its format is YYYYMMDD and it can be used with BEF, IS and AFT operators. Scopus may re-load existing records for various reasons; sometimes for content enhancements or corrections but also in support of functionality changes. The timestamp of when a record was last loaded to Scopus is called LOAD-DATE and it can be used in the same way a original load date. It is up to you which date you'd like to use for your incremental updates. ... which your system can use to fetch the full Scopus record for the article, and from which you can parse the additional data that you're allowed to use per our policies. We hope this documentation provides you with all the information you need to get Scopus data for your institutional repository through our APIs. However, if you have questions contact us.